After many years of experience in developing European projects and increasing expectations from our partners of sharpening their expertise and knowledge. EProjectConsult has established BrainUpLad – a training centre – with the aim of running a series of tailored made training courses covering all our core training issues from different kinds of business practices. They are intensive and effective courses with offering both expertise theories and professional hands-on experiences through study visits and job shadowing. All participants have the chance to broaden their skill set and embed best practises across their organizations. In-depth knowledge from experienced trainers. Let us transfer our expertise to your business now! 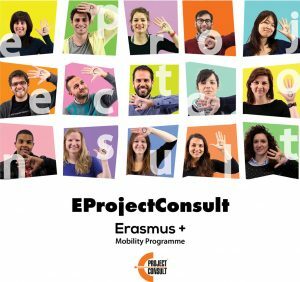 Erasmus+ projects in the specific categories are addressed to schools, institutions, organisations and companies. In order to get financial support, you need to define the European Policy Plan for your entity in order to specify its needs, to write and submit a project to your National Agency. Under these projects, the staff of your entity will realize a mobility abroad for receiving a training course appropriate to the internal needs. In the framework of those mobilities are supported transnational partnerships with organisations which materialize the training courses and act as hosting organisations. The funding covers the costs for all required activities (including travelling, accommodation, personal costs etc…). If you already applied for a training and you were selected by your National Agency, EProjectConsult is ready to be your partner organisation in Italy (Sicily or Tuscany). You can contact us in order to arrange a Skype conference for examining our possibilities for partnership. In order to achieve the objectives of your courses, EProjectConsult collaborates with many local stakeholders who are involved in the projects. Professional staff and experts who cooperate with our organisation at local level, implement the training courses, according to the subject of your proposal. These training courses also contain visits to local organisations and companies in order to implement workshops or seminars. In all courses modern technological equipment are used. You can choose one of the courses in the list below and download the suggested program. If you don’t find in the list the training that fits to your needs, feel free to contact us at info@eprojectconsult.com. EProjectConsult is located in the north Sicily, in the town of Barcellona Pozzo di Gotto (province of Messina). The organisation acts as partner and undertakes all necessary activities for implementing your project: training courses, accommodation, monitoring, evaluation and organization of a cultural programme.